In Headway, we bring the arts into our rehabilitation setting in order to help us tell stories, and in that way, to share and understand our experiences. 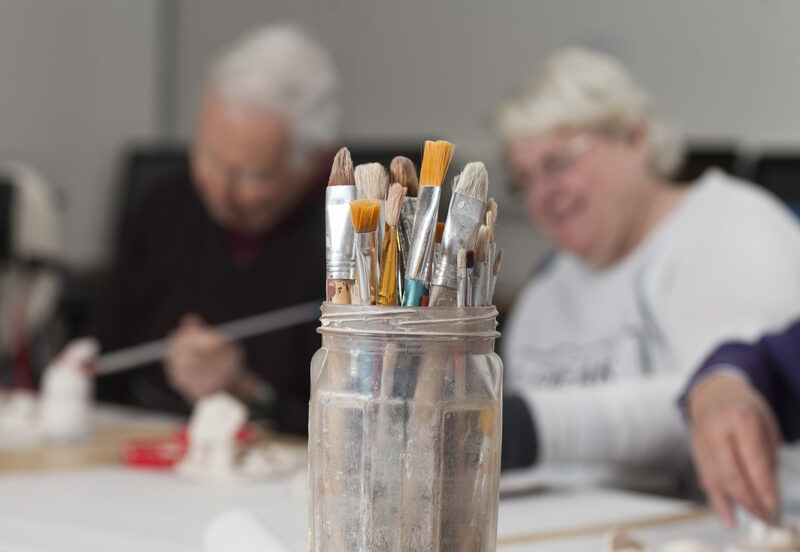 The visual art activities provide our clients with brain injury an authentic learning experience that engages the whole person in a meaningful way. In the Headway visual art groups, clients are encouraged to create unique individual art pieces to provide a starting point for reminiscence and life review. We also encourage all participants to draw on their own wealth of experience. The resulting works of self-expression help to develop the person’s confidence and enhances their ability to concentrate. Some group participants may have a reduced ability to communicate verbally, for example, following a stroke. Art sessions provide the opportunity for these participants to explore alternative ways of self-expression. The development of sensory discrimination, e.g. How to mix paint, the results obtained by use of different tools, How to mix colours? use of collage or clay etc. Finally, the groups provide the opportunity to socialise and develop supportive peer relationships.